Early morning after breakfast (packed breakfast), drive to Jankichatti / Phoolchatti & star trek from here to Yamunotri (6kms) (Either by walk or by horse or by Doli at own cost). 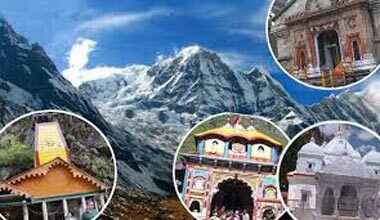 After taking bath in Jamunabai Kund’s warm water and having “Darshan” of “Yamunaji” return to Jankichatti by trek. Later drive towards Barkot, Overnight stay at Barkot. Morning after breakfast, drive for Haridwar via Rishikesh. 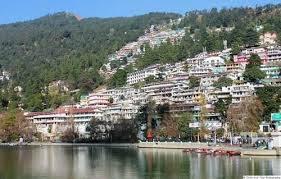 Rishikesh ‘place of sages’ is a celebrated spiritual town on the bank of Ganga and is surrounded by Shivalik range of the Himalayas on three sides. It is said that when Raibhya Rishi did hard penances, God appeared by the name of ” Hrishikesh ” and this area hence firth came to be known as Rishikesh. 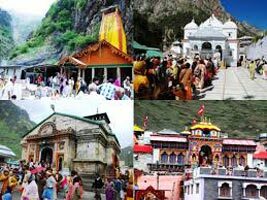 Later visit Rishikesh Temples Sight Seeing – Laxman Jhulla, Ram Jhulla. Drop at Haridwar. 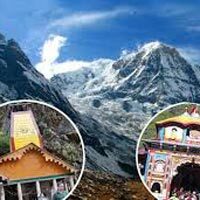 Gangotri - Yamunotri - Badrinath - Kedarna..